A walking stick is a handsome accessory for men and women. 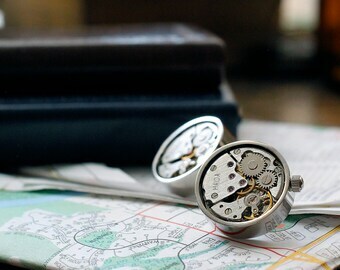 It's slim design makes its a great accessory to take traveling, to work or to a convention and the handy leather adjustable strap options it's available with means its can also be a hands-free item too. 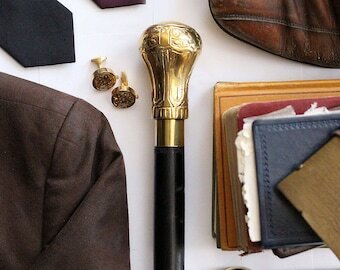 Slim and polished looking, the walking stick is an accessory that is not only practical but stylish too. Made using solid wood and metal material, this cane design is complimented with the option to choose an adjustable,imitation leather wristlet (wrist strap) to slip onto the wrist and prevent unnecessary dropping or for something for the adventurous type, a long adjustable strap that can expand to slip over the shoulder or across the back. 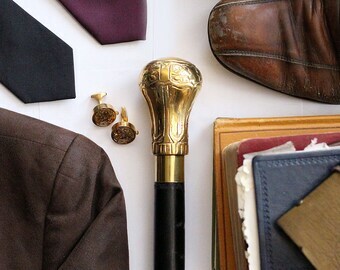 Steampunk costume, wedding gift or something for yourself, a cane is a gift that's sure to receive compliments on its handsome, practical design. - long strap has two adjustments for two ways to use it as a strap. The long strap opens up to become a chest strap that loops over the head and tightened across the chest. The second method is a large shoulder loop can be made by pulling up the excess belt tail from the bottom up to the buckle at the top. - walking sticks have corners which may snag on things. - this is not a medical device. - this is recommended for costume use only. - custom requests for cane lengths is not available at this time. 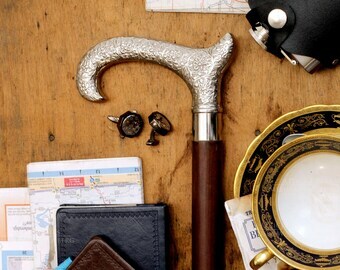 - use a cane stand or belt holster to keep your cane nearby and easily reachable. - invest in a different rubber tip to add to your cane in order to provide different surface gripping, cushioning etc. for your comfort. - Canes are not intended to be used like a crutch for full weight bearing. 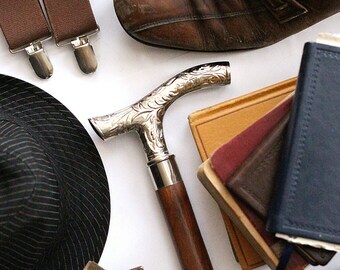 An important consideration in choosing a cane is to match the cane with the user's body size, so that the cane becomes the key to better mobility and safety for the user. Canes are not designed to substitute for bearing all the weight you normally would on your legs, such as crutches, but to provide you with an extra foot on the ground for balance. The cane adds a third point of ground contact that alters the bio mechanics of walking to affect balance, relieve painful joints and provide stability to the user. Canes are intended to help with a users balance. A cane size is designed to be proportionate to a cane users body size. The cane's shaft size, handle size and construction are factors in determining a cane users size. - Canes made and sold by AtticRaiders are only used for casual or novelty use and are not promoted or used for medical use. - Always consult your doctor in matters concerning using a walking cane. None of the information on this page should in any way replace medical advice from your doctor or therapist. - Any and all body parts, backgrounds, background stuff and other things in the pictures are not included in the sale of this item. 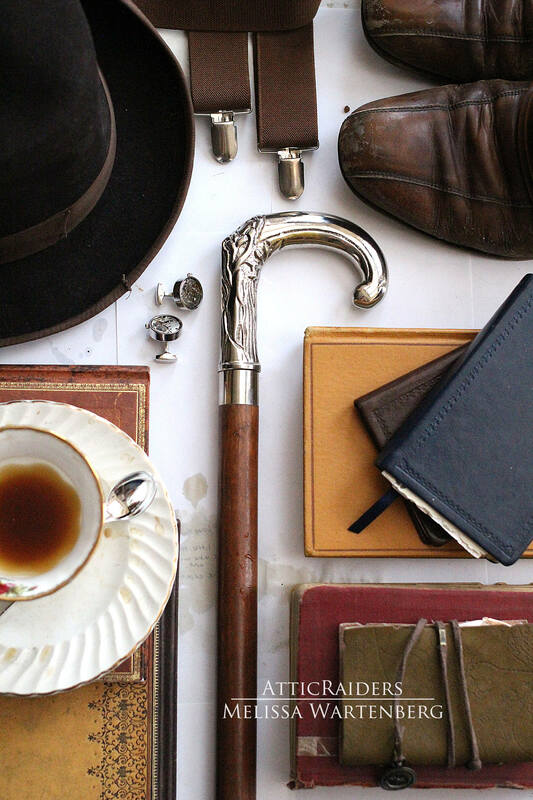 You are purchasing a cane only– parts are not replaceable if and not limited to, broken, stolen, lost, etc.